Fall is the season of fresh veggies, bright berries and succulent fruits. It’s the time to enjoy the fresh harvest to the fullest and make delicious cuisines out of them. Many people celebrate the taste of autumn by inviting their guests for parties and cooking fall special dishes for dinner. If you’re planning to enjoy the seasonal flavours with your friends and family by throwing a party, then here are 3 fall appetizer recipes that are sure to tantalize your guests’ taste buds. Have your guests appreciating your culinary skills by serving fresh mushrooms stuffed with juicy ground beef. To make this delicious cuisine, preheat your oven to 425°F. Remove mushroom stems and finely chop them. Combine minced onion and garlic with ground beef in a saucepan over medium heat. Once the beef becomes slightly brown, drain. Add chopped mushroom stems, bread crumbs, butter (1 tablespoon), salt and pepper. Cook the mixture while stirring at frequent intervals. After cooking for 5-6 minutes, remove the saucepan from heat and add heavy cream. After the mixture is prepared, dip mushroom caps in melted butter and stuff with a generous amount of beef mixture. 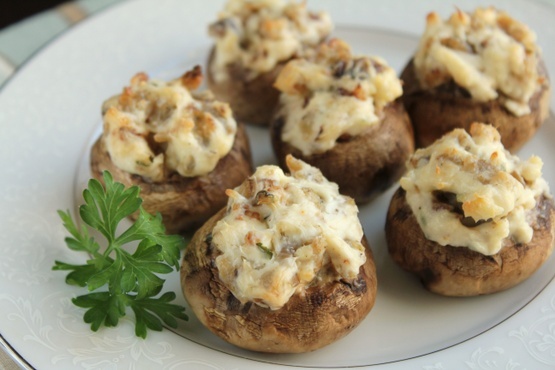 Place stuffed mushroom caps in a baking dish and sprinkle chilli powder. Put the baking dish in the oven and bake for 25 minutes. Serve hot and enjoy! Pears taste the best in fall and what else could be more special than serving it with a unique combination of flavours that complement its taste. 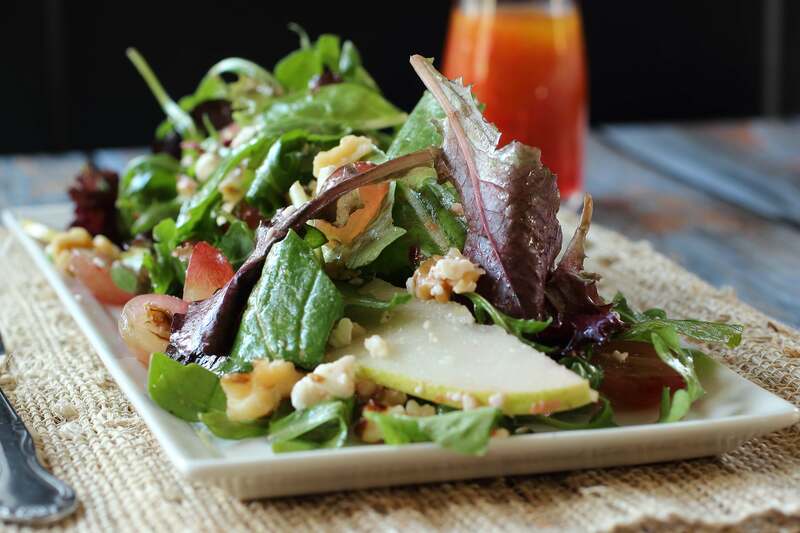 You’ll surely rock the party with the sweet and savoury pear salad with walnuts and gorgonzola. Place lettuce leaves on a chilled plate and add cored and sliced pears. Top it with dried currants or raisins and walnut halves and crumble gorgonzola cheese evenly on the salad. Whisk fresh lemon juice, rice vinegar and light olive oil in a separate bowl and season it with fresh ground black pepper. Drizzle the whisked mixture on the salad and serve chilled. Perfect! 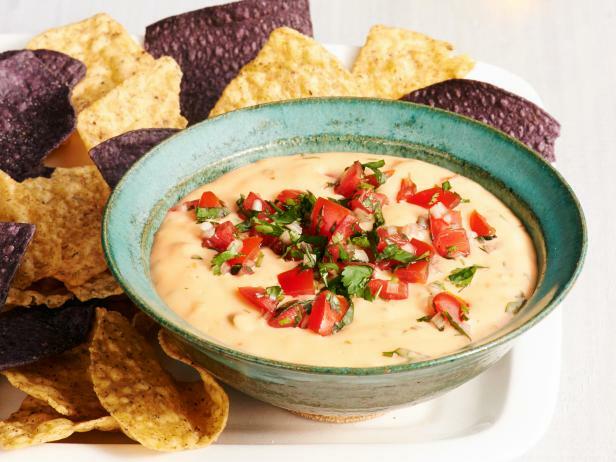 A fall party is incomplete without crunchy tortilla chips and cheesy dips. Whet your guests’ appetite with this delicious dip while they wait for the main course. For this creamy dip, mix diced Campari or small vine-ripened tomato, cilantro, and shallots (all diced) in a bowl and set aside. Put a saucepan over medium heat and melt unsalted butter. Add the remaining shallots, thinly sliced red jalapeno and serrano chile peppers, and salt. Cook the mixture for about 3 minutes or until the shallots become soft. Sprinkle some all-purpose flour to the pan and stir until it’s completely absorbed. Bring the mixture to simmer and whisk in milk while stirring frequently. When the mixture becomes thick, add grated pepper jack and American cheese to the pan and mix until it melts. When the mixture is prepared remove it from heat and add the remaining cilantro. Garnish the dip with the tomato mixture and serve with chips. Try these delicious autumn appetizers this season to impress your guests. They are loaded with fall flavours that will leave your guests wanting for more. So, what are you waiting for? Make the most of this fresh season and include these appetizers to your party menu.